April 2016 – is Internet service in eastern Ontario still too slow? Read this CBC news update. 2013 – Read about developments in Internet service, particularly across Eastern Ontario. 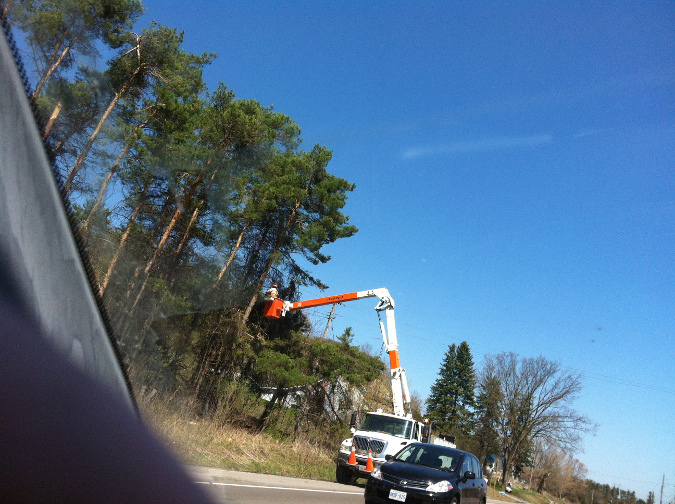 2012 – read about the Cell Tower Siting Process in Eastern Ontario, from EORN. Propane is clean burning and competes with fuels on efficiency and greenhouse gas emissions in many applications. It also offers some air quality advantages: when properly mixed with air to form a combustible mixture, propane emits virtually no soot, and low carbon monoxide, hydrocarbons, and oxides of nitrogen, which are the basic precursors of ground-level ozone, or smog. In many cases, propane the only fuel used in remote locations because of its portability, especially for applications where demand patterns change, such as construction sites or cottages. Many thousands of rural and waterfront residences use propane as a primary home heating fuel source.